We offer all inclusive private accommodations for your short or long term stay. Comfort and relaxation await you at this Victorian home nestled in the beautiful woods of the south hill area in Ithaca, NY. We provide a perfect four-season escape for those who seek modern comforts and exceptional hospitality. Charming rooms, comfortable beds and an exclusively designed private bathroom provide a soothing oasis for guests. 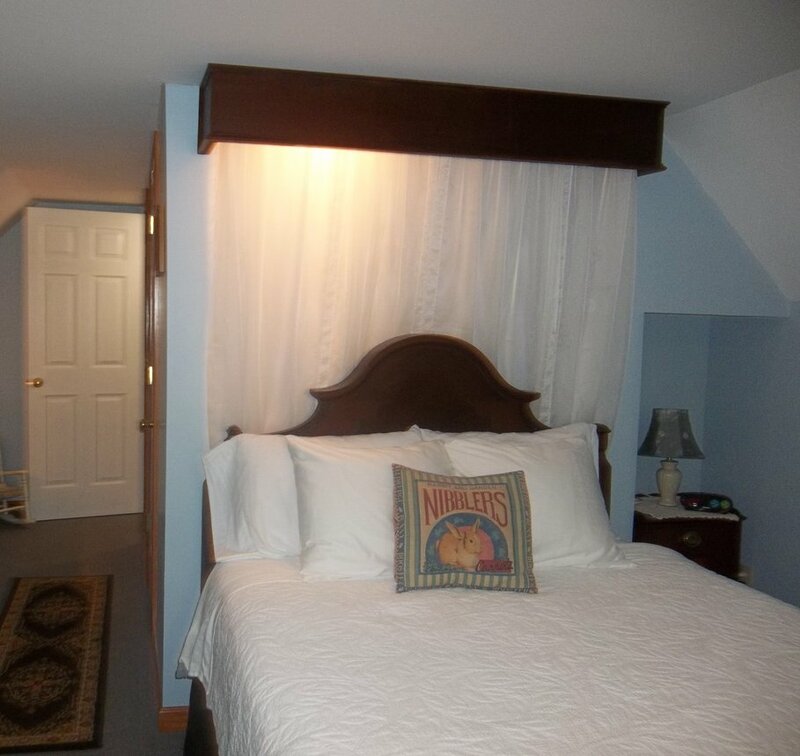 Our gorgeous guest house includes a private entrance, a modern updated kitchen, custom designed bathroom, dining area, living room, a separate upstairs bedroom and an intimate guest garden with bi-level deck. Complimentary high speed WiFi is provided throughout. Air conditioning is available in all rooms. The modern kitchen is fully equipped with stove, refrigerator (with icemaker), dishwasher, microwave, toaster oven, coffee maker, dishes, glasses, cutlery, pots and pans. A hand blown Italian glass light suspends over the recycled wood countertop to give plenty of light for the workspace. A welcome basket awaits you. 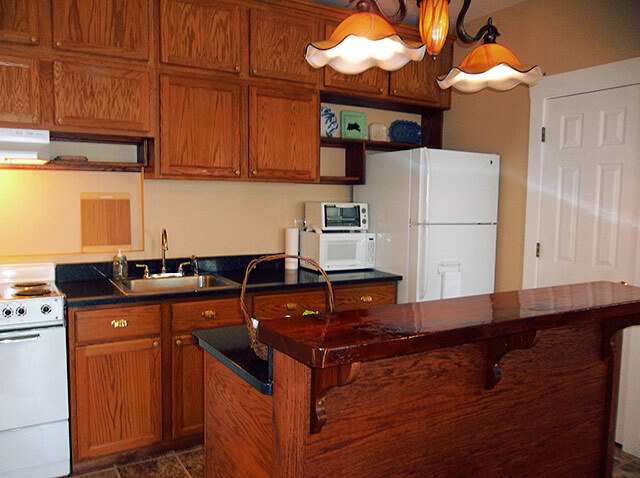 Continental breakfast is always available right in your own kitchen. 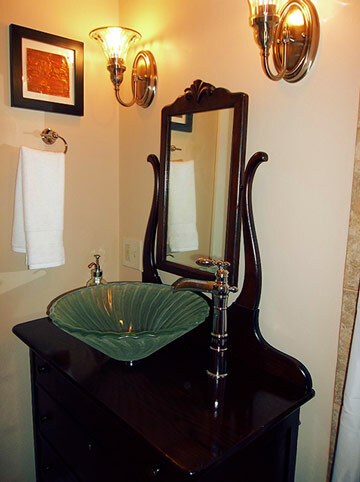 The bathroom houses an antique dresser that has been modified to hold a beautiful glass vessel sink. The walk in shower is custom designed with Italian tile and equipped with a Rainshower shower head and multi-function personal hand shower. We provide plenty of fluffy towels for your stay. 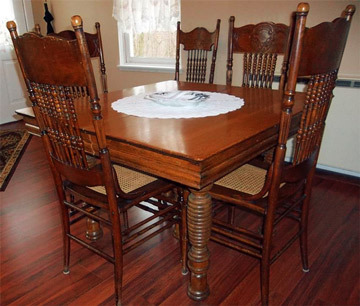 Stunning antique table and chairs can provide seating for up to fourteen. The fifteen foot ceilings lend to a bright and airy feel. 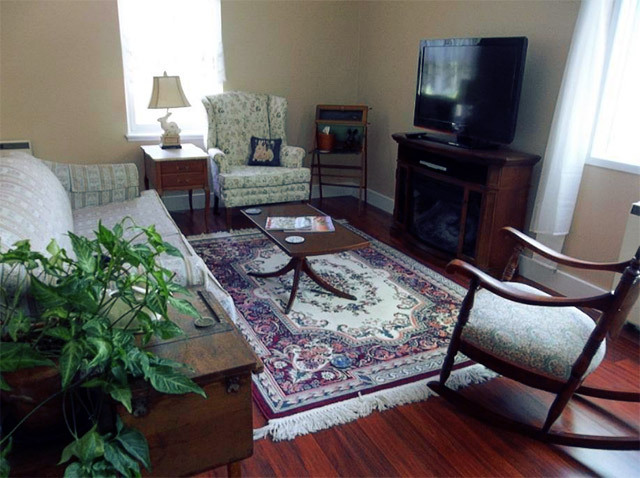 Our living room includes a flat screen television which sits atop a decorative fireplace. We have created a warm atmosphere with antique touches to make your stay the ultimate in comfort. The sofa converts into a queen size bed for extra sleeping. There is plenty of natural light flowing in and there is a view of the private garden from the picture window. 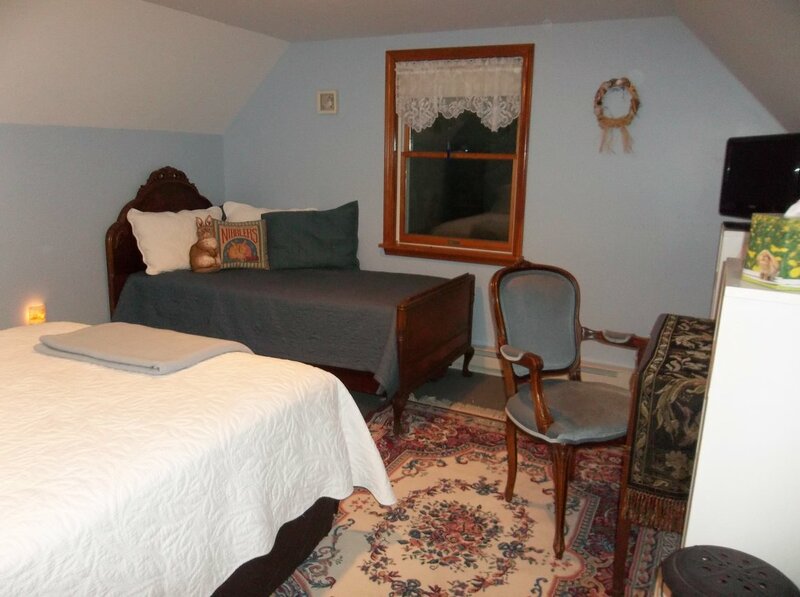 The upstairs bedroom offers a separate serene room with a comfortable queen size bed, twin size bed, TV, writing table and chair, and walk-in closet. We have three acres of lawn, gardens, woods and a stream. 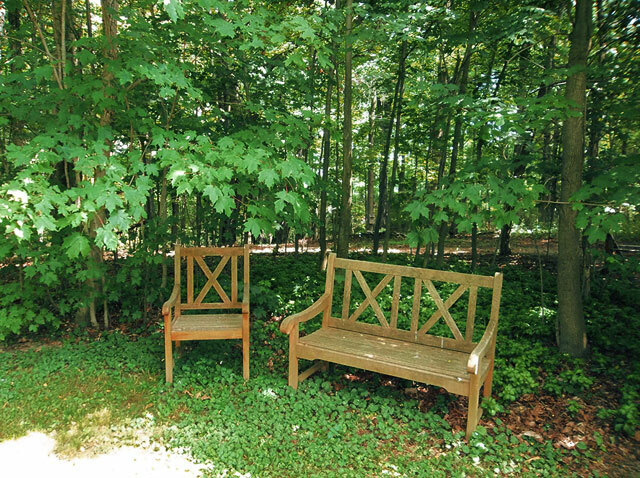 Spend some time during your stay enjoying the great outdoors in this park-like setting. 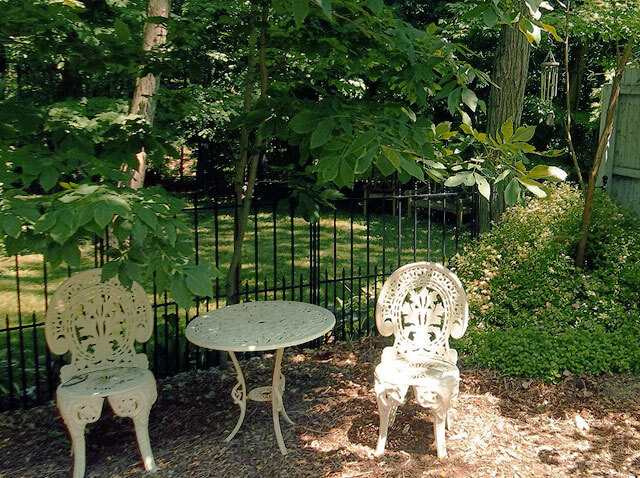 Relax with a book on your private deck, with the sound of the creek in the background. Enjoy your breakfast at the antique marble top table. 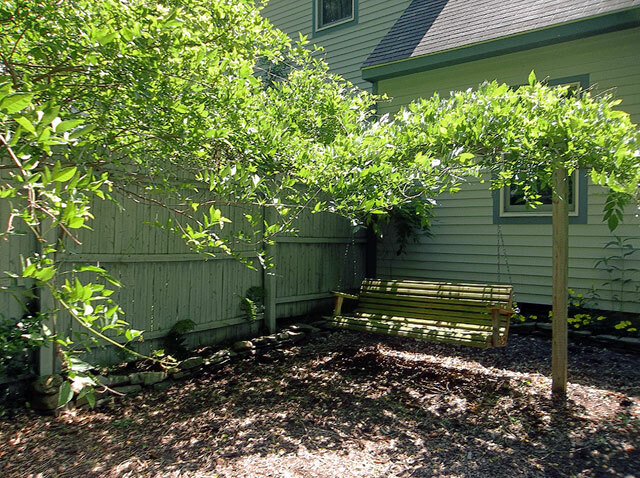 Delight in your private perennial garden and unwind on the swing underneath the flowing wisteria. 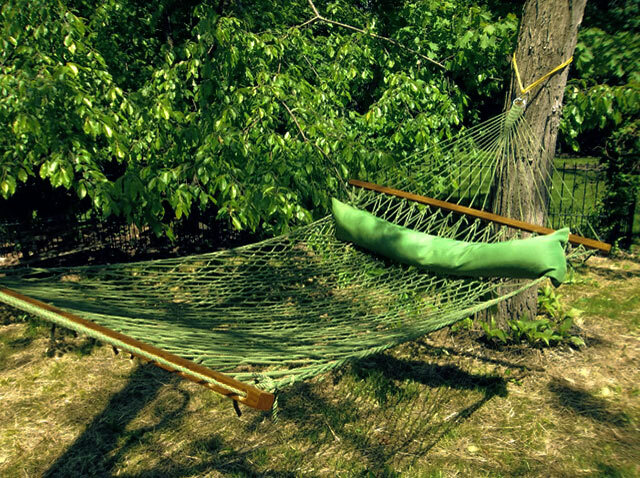 In the evening sit under the stars and be quietly entertained by the fireflies and peepers. Listen for the owl calling your name. There are many options to enjoy the beautiful outdoors. Our guests will delight in the variety of wildlife that abounds in our area. 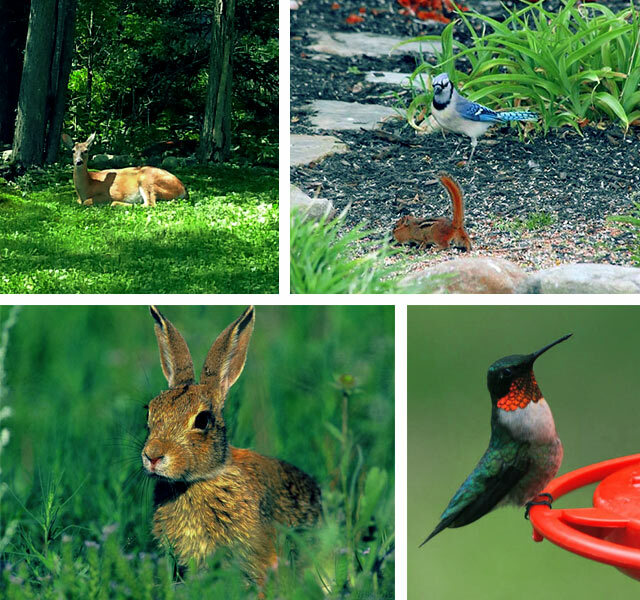 Deer, turkeys, chipmunks, squirrels and rabbits are commonly seen in our garden. Seasonal spectacles are provided by Canada geese flying overhead to nearby Cayuga Lake. We also have the occasional spotting of red fox and coyotes. An abundance of birds impress us with their colors and songs. There are many special moments yet to be discovered at the beautiful Bunny Trail Guest House.